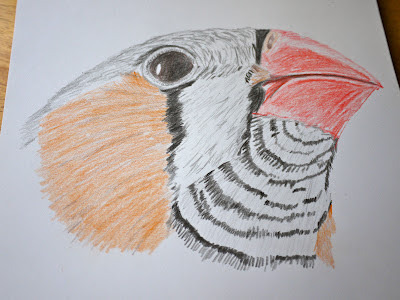 So, here's my zebra finch, done in pencil crayon. 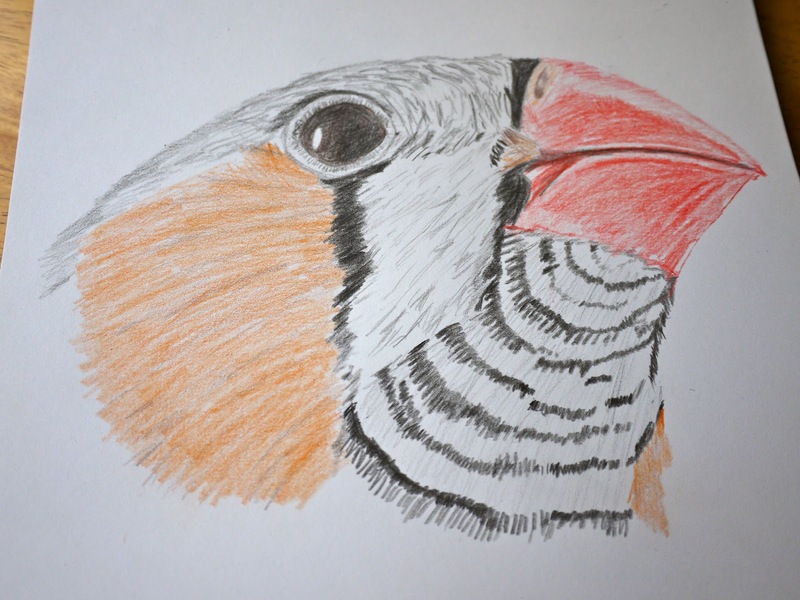 Most birds tend to have that look on their faces. Maybe they are surprised that us slow, dundering humans can actually see them!